Your cell phone is your everyday companion, you love it, and use it all the time. So why not protect it in a truly unique way? At GoCustomized, we give you the opportunity to design your own Galaxy Grand Prime custom case according to your imagination and needs and provide it with the best protection at the same time. You can customize everything about it! Start by choosing the case type, its color, and your picture! By creating your Samsung Galaxy Grand Prime photo case you can reveal your imagination and creativity. You can choose up to four of your favorite pictures of your last vacation, a photo of you and your best friend, or one of your pet. You can take those memories with you anywhere you go! If you still need some inspiration, you can also use one of our pre-made designs. Making your Galaxy Grand Prime custom case is simple, fast, and fun. We produce and ship all orders within 24 hours. What are you waiting for? Start now and design your Samsung Galaxy Grand Prime photo case now! A customized Samsung Galaxy Grand prime photo case is not only a simple way of protecting your phone. At GoCustomized, we think it's so much more than just that. 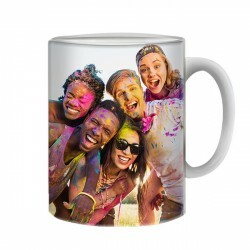 You have the opportunity to immortalize your memories and always have them with you. It is also possible to promote your business by printing your logo on the Galaxy Grand Prime custom case. 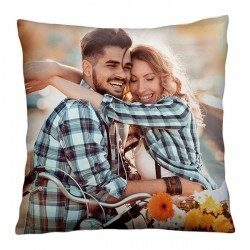 Why dont you surprise a loved one with a personalized present? The customization possibilities are unlimited. You can enlarge your image, rotate it, or even create a cool photo collage. And that's still not everything! You can add a text, a filter, or stickers to receive a Samsung Galaxy Grand Prime photo case that looks like no other. As soon as we receive your order, we quickly produce your case while remaining attentive to the quality of the printing. Each design will be printed on the Galaxy Grand Prime custom case using a high-quality UV printer to achieve the best result. 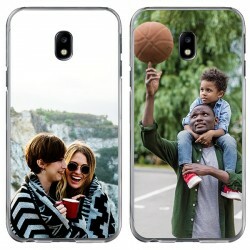 In this way, you will quickly receive your unique Samsung Galaxy Grad Prime photo case and can show it to your friends and family. 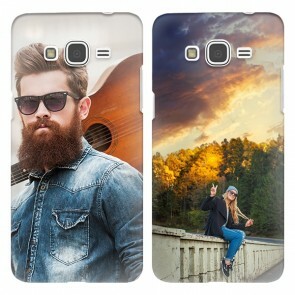 Designing your custom phone case is quick and easy. Start now!